We don't just meet industry quality standards ,we help set them. 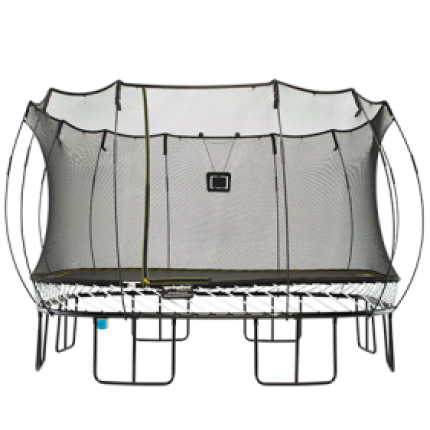 Only Springfree eliminates 90% of all products related trampolines injuries. We are committed to getting kids outside and active through safe, outdoor play. 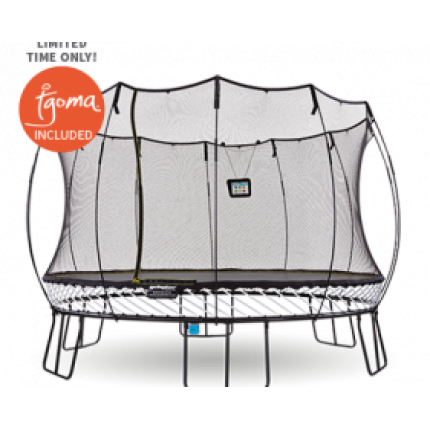 Our latest innovation, tgoma is the only digitally interactive trampoline game system that engages the entire family in backyard fun. 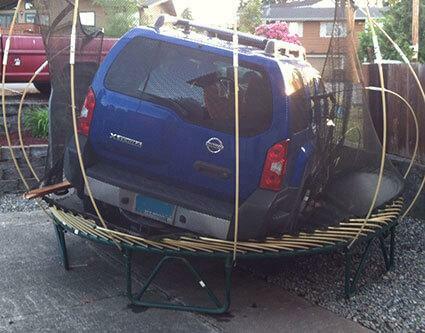 We’ve used smart engineering to design every inch of our trampoline. 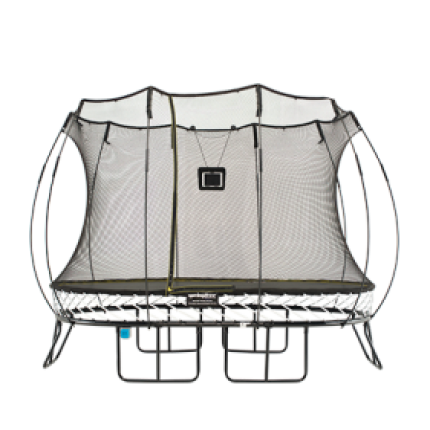 From our patented safety design to tgoma’s one at a time play feature, you’ll have peace of mind that your kids are having a safe, fun jumping experience. 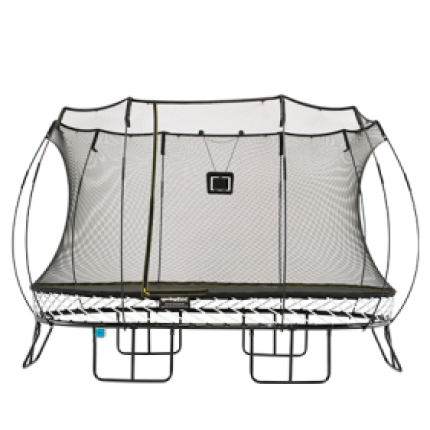 We use flexible composite rods instead of springs, which lie beneath the trampoline jumping surface out of harm's way. We’ve created a shock absorbent mat which removes hard edges from the jumping surface. 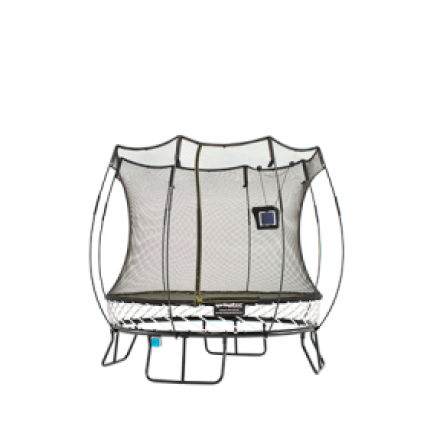 The metal frame is located well beneath the trampoline jumping surface where you can't land on it. Our safety enclosure cushions jumpers and prevents falls to the ground. 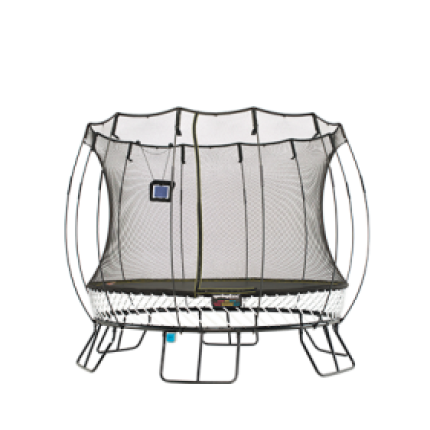 is the first outdoor interactive digital game system that encourages one-at-a-time jumping. 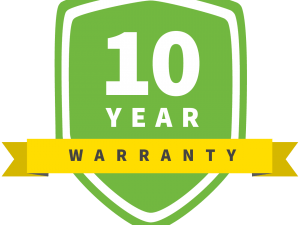 We believe safety and quality go hand in hand. 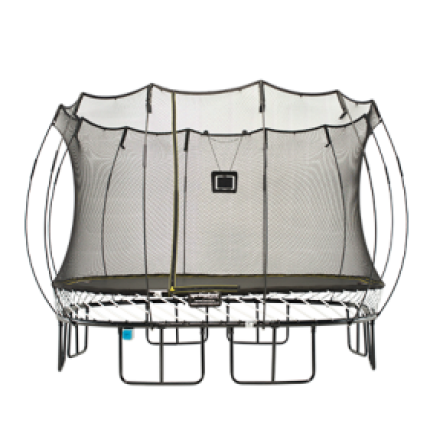 Every Springfree Trampoline is built in our own facility where we rigorously test every component and manufacture our trampolines with only the highest quality materials; so you get the same enjoyment year after year.